Remember back in 1981 when MTV launched, and the first video they showed was “Video Killed the Radio Star”? It was, like, super meta and on-the-nose. Well, YouTube and Vimeo are still riding that wave. They’re not so much killing the radio star (podcasting is super popular), but they’re definitely gaining traction over old-school, written web content. If you’re going to succeed on the internet the way it currently exists, you need to up your video SEO game. What you’re doing is probably okay, but that’s just it…okay. You want to be spectacularly and gloriously successful at this. And to do that, we’ve got a few nudges that should move your video strategy from SE-Oh No to SE-Oh Yeah. Keyword stuffing is so 2008. In the past decade, marketers have learned that to be effective, third-party plugins, add-ons, and apps make a world of difference. In fact, given how much the right tools can increase your efficiency and productivity, you should absolutely consider using some for your video SEO, if you’re not already. First up is TubeBuddy. I’ll start this out by saying it is personally my favorite and go-to YouTube tool because it works in-page with just a browser extension, for either Firefox of Chrome. When installed, you get an integrated dashboard that can pop up anywhere on YouTube. 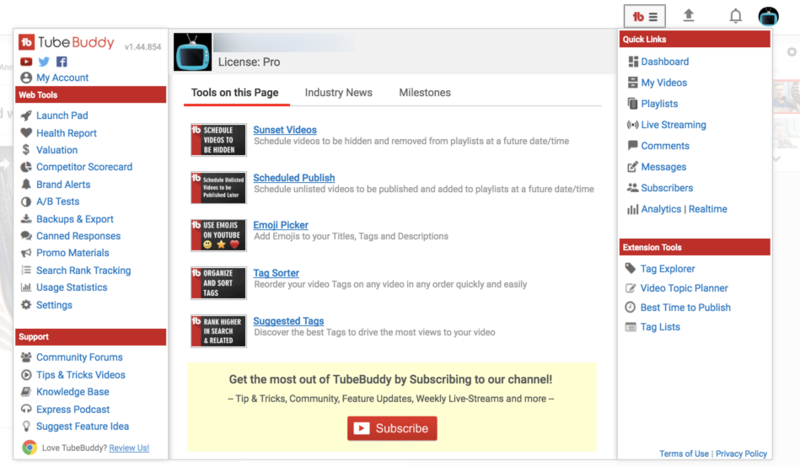 What makes TubeBuddy stand out is its ability to get peaks at the tags and keywords your competitors are using for their videos, plus stats and search rankings, view duration, and so on. They call them videolytics and channelytics. On top of that, you can run search term analyses, and TubeBuddy gives you search volume, competition, and an assessment of whether it would be worth your time to focus your efforts in that area. A lot of this is from the free version of the extension, and there’s a 14-day trial of Pro (and a few sweet discounts, such as 50% off if you have under 1k subscribers). This is the kind of tool you honestly can’t afford not to use because the information it digs out of your competitors channels is integral to your success. Moz. I heart Moz. You heart Moz. Everyone hearts Moz. If you’re not using Moz (have I said Moz enough yet?) to enhance your channel’s SEO, then I have to ask why in the name of Divi are you not using Moz? If there is a single tool that can make your video SEO shine, it’s, you guessed it, Moz. Now, here’s the deal: Moz isn’t specifically for video like TubeBuddy is. But Google likes its own products, and if your video ranks on YouTube (the second-largest search engine), you will for sure rank on the largest (Google search itself). 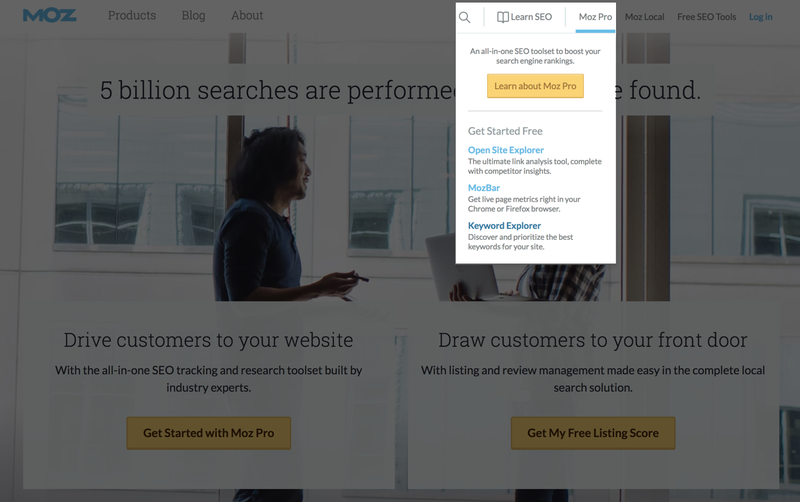 By taking advantage of Moz’s keyword tool to gauge general search volume and get related, long-tail keywords that you can then integrate with a tool like TubeBuddy. Like Moz, SEMRush is invaluable to finding the right keywords to make your videos around. In general, video SEO can be seen as a highly specialized subset of traditional search engine marketing, and that means making sure that you are putting out the right kind of content. Video content is taking over the web, and if you want your videos to rank in searches outside of YouTube or Vimeo, you have to create what people are looking for. Outside of “cute, funny kitties,” that might not be so easy to narrow down. Google’s search results do tend to skew toward specific types of videos. SEMRush stands out in this area because it gives you trends over time, related keywords and their volumes, and in-depth analytics and campaigns for specific domains. For instance, if you want to dig in and adjust your video SEO strategy for a particular website, you can create a campaign for that and compare it directly to a competitor or another of your own sites. You will be able to track keyword campaigns down to individual pages that have embedded video, figuring out how to not only get them higher ranking on YouTube, but also in everyday searches as well. No matter what keyword you’re trying to rank for, your video SEO strategy should definitely include it in your script. If you or your talent are being recorded, you should absolutely work the keyword phrase into the dialogue. Why? 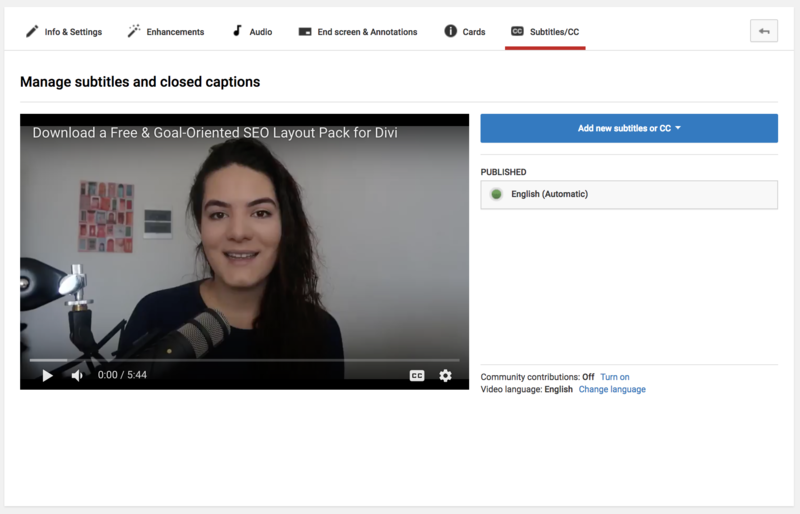 Videos have transcripts and captions automated (and you can upload your own). This is another place for YouTube to recognize your topic through speech recognition and machine learning. Just don’t stand there, staring at the camera, repeating “Divi is awesome Divi is awesome Divi is awesome Divi is awesome” for five minutes. Despite Divi being terribly awesome, that isn’t useful, and the algorithms know it. So just casually insert the keyphrase into your video’s audio, and let YouTube handle the rest. If you’ve never used YouTube’s autocomplete function to rank your videos, you gotta start. Like Big Poppa G, when you type anything into the YouTube search bar, you get options based on popular searches and existing videos. These terms are a goldmine for your future content. Not only can you see what people want to watch, but it also gives you insight into what your competitors are already producing. That way, you can hit those keywords and (most importantly) improve on them so that your content outshines everyone else’s and more adequately fulfills the needs of the searchers. Okay, so this isn’t so much video SEO as it is video ranking strategy (which are adjacent topics). YouTube has changed its algorithms around a lot in the past few years. The old strategy of “rack up as many views as possible” isn’t necessarily viable. Sure, views matter (a ton) in rankings, but the most important factor is watch time. You want as many people to watch your videos for as long as possible. (And to subscribe, too, because that helps a bunch, too.) This means that you don’t want to give everything away in the first ten seconds of your video. Now, that’s not saying that you should be purposefully vague or misleading. Heavens no. What you should do is get craftier (literally and figuratively) with your videos. You should keep the absolutely most important information for the latter part of the video, sure. But you should also take this opportunity to make better videos. Good videos will make viewers want to watch because they’re good, not because you’re tricking them into giving you their minutes. Tags, Filenames, and Descriptions…Oh, My! Finally, I am lumping these three items together because of how interconnected they are. Despite the importance of viewing time, likes, and subscribers, you still have to optimize your video for whatever the public is searching for. Let’s say that you’re trying to rank for “divi visual builder.” I think it goes without saying that it should be in the video title (but I said it, regardless). But for some reason, I’ve seen folks barely make use of tags, descriptions, and filenames. Second, put that keyword in your description. YouTube gives you 5,000 characters to accompany your videos, and if you’re not taking advantage of that, you’re missing out. You definitely don’t want to keyword stuff, but you want to make sure that you mention the “divi visual builder” a couple of times in the copy (and the more casually, the better). And the final step before uploading: make sure that you actually save your video with that main keyword in the filename. You’d want it to be divi_visual_builder_tutorial_1.mp4 instead of divivbtut001.mp4 or, even worse, tut1337.mp4. Crawlers crawl everything. Even though YouTube doesn’t necessarily count the file name in results, other plugins, add-ons, and engines do. If we know anything about Google and YouTube, it’s that everything is always in flux. Algorithms get tweaked, best practices get altered, and we have to adapt to these changes in order to get our hard-work watched by the masses. But while some strategies so-called “experts” may feel fly-by-night, video SEO basics tend to stay the same at their foundation. And if you take your existing strategy of keyword research, topic building, and high-quality video production and combine that with services like TubeBuddy and Moz, you’re gonna do okay. And make sure you take advantage of all the tools and options that YouTube and other video hosts give you (tags, transcripts, etc. ), and you’re well on your way to being internet famous. What video SEO strategies have worked best for you? Let’s teach each other in the comments! How important is backlinking in video SEO and how is it done? From what I can tell, backlinking the videos themselves isn’t terribly important since YouTube is, well, YouTube. But backlinking a post on your site that has the video embedded into it is still just as important as ever. Excellent article – thanks B.J. Just one nit = “What makes TubeBuddy stand out is its ability to get peaks…” should be “peeks”. “Even though YouTube doesn’t necessarily count the file name in results, other plugins, add-ons, and engines do”—> Can you list which ones do and how you know? I have yet to find any advantage to manually renaming my filenames and would rather not do the work if this is just a theoretical trick rather than a proven technique. Thanks! If you find any, let me know! YouTube success starts with understanding the algorithm.